It’s all very well, Ljuke to say that everyone is a winner and participation awards and “I ran in a race” and suchlike, but sometimes you’re just going to have to accept last place. 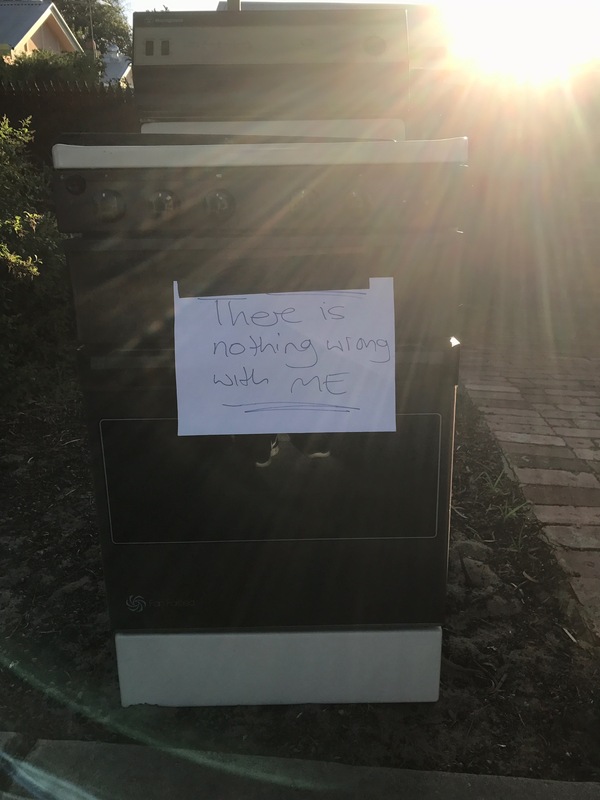 This entry was posted in worst objects and tagged #ljuke, stoves. Bookmark the permalink. This one’s been to Group Therapy. A cry for help on the verge pick-up of life. Should have gift wrapped it. Just like the night I went scurrying down a city street excitedly carrying a large, heavy and well wrapped cardboard box that I’d scored in a business doorway. Contents. Nothing but trash for me to now do the right thing with. There was nothing wrong with that package that night too.